Jia Youfu was born in Suning, Hebei province. He is best known for depicting the landscape in the Taihang mountain range in north China, where his hometown is located, a subject he has concentrated on since 1977. 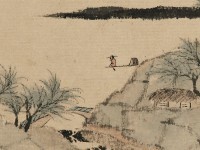 In this painting, the dense composition and heavy use of dark ink may be regarded as homage to his teacher Li Keran (1907-1989). Jia Youfu is now a professor in landscapes at the Central Academy of Fine Arts in Beijing. 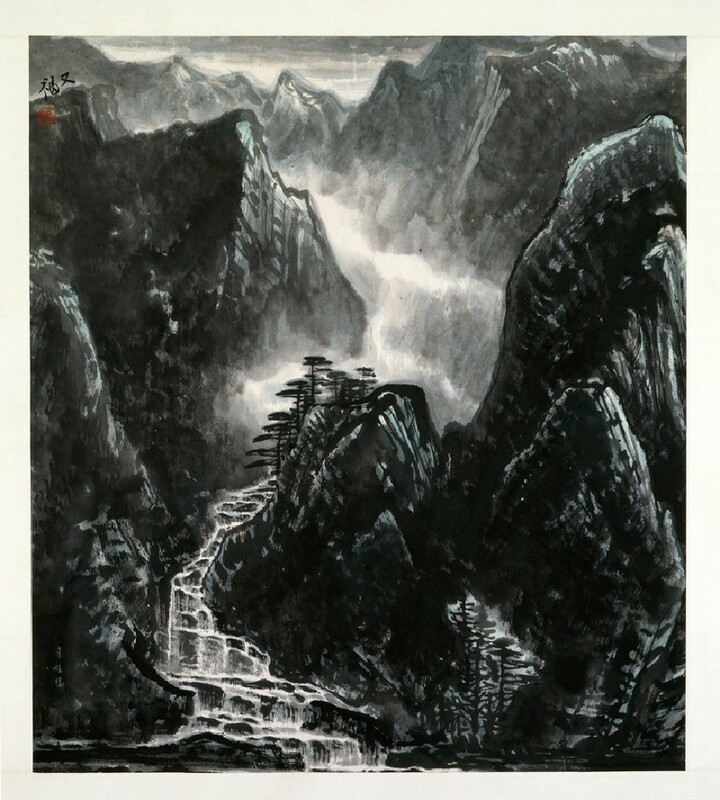 Jia Youfu was a pupil of Li Keran (1907-89) and this painting, with its dense composition and heavy use of dark ink, may be regarded as an homage to his teacher (see cat.nos.43, 46 [EA1995.208, EA1995.211]). 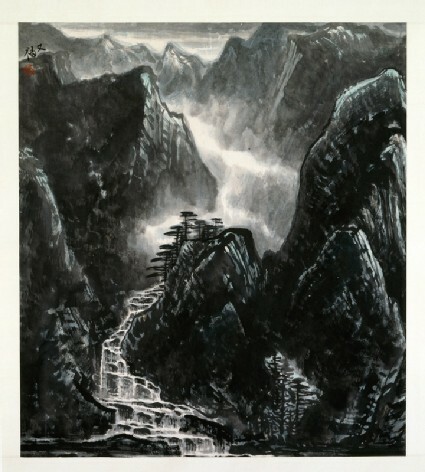 The scene is probably a waterfall in the Taihang mountain range in north China, which since 1977 has been one of Jia Youfu's principal painting subjects.